From children’s to young adult, antique to contemporary, and cultural to local interest, Friends’ Bookstore has something for every reader. 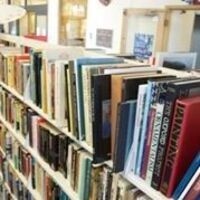 Come find affordable, diverse books galore at the Friends of the Santa Cruz Public Libraries’ Bookstore in the Downtown Santa Cruz Library today! 427-7716 or fscpl.org. Located in the lobby of the Downtown Santa Cruz Public Library. Sun – 1:00 p.m. – 4:00 p.m.
Mon – Thurs – 10:00 a.m.– 6:00 p.m.
Fri – 10:00 a.m. – 4:00 p.m. Sat – 10:00 a.m. – 4:00 p.m.